In fact, it’s not just bad things we don’t want more of. No one wants more of an average meal, a typical day, or a mundane job, either. More is only good when it’s a byproduct of being better. It’s the same in the church. For so many years, the main (only?) metric we’ve used for measuring church success has been attendance at our weekend services. We’ve been taught how to break growth barriers, how to duplicate the numerical success of other churches and how to adapt our methods to prepare for numerical increase. We seldom ask ourselves if what we’re doing is worth having more of. But we seldom ask ourselves if what we’re doing is worth having more of. I don’t want to broad-brush this issue. Most church growth proponents emphasize health first, and I’m grateful for that. 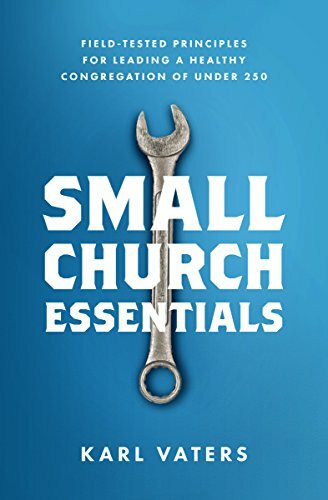 But when you’re pastoring a church, it’s easy to overlook the value of putting church health first, and convince yourself that more of the same will fix things. More people, more money, more staff. But more never gets us where we need to go. It has to be better first. We don’t need bigger churches. We need better churches. And we need more of them. Better churches. Of all sizes and styles. The great news is that, while getting bigger is a complicated, uncertain process with no guarantees, any church can always get better. Do the Jesus stuff. Love God. Love others. Share our faith. Honor God’s Word. Any church can do more of that. And more of that is all that matters.